This was Mads' first time to roam around the Texas Hill Country...home to 27 different Vineyards and beautiful sprawling landscapes filled with wildlife, beauty, and all kinds of cool critters! I love watching him experience new parts of my home..... and today was no different! He realized that we don't have to go all the way to the Napa Valley to experience some amazing wine... and in fact he bought bottles of wine to bring home to Denmark. As we shopped in downtown Wimberley today, it was like being back in MY ELEMENT... hearing "yes m'am" and "y'all have a good day" everywhere we turned just made me feel good all over. The motto of Wimberley is "A little bit of heaven" and now I understand why. From its cute boutiques filled with RUSTIC TEXAS DECOR to its locally-owned coffee shop "Sip! on the Square", Wimberley really is an awesome little town that I hope we can visit again! But the highlight of the day was our dinner at SALT LICK BBQ.... which just might be some of the BEST BBQ I have ever eaten! Mads got to experience things like "a bucket of beer for 10 bucks", family-style all you can eat BBQ for $18, and some of the best finger-licking BBQ sauce on the planet. (and yes, we bought some to bring home!) So if you are EVER in the Austin /San Marcos area, you MUST go to Salt Lick BBQ.... be prepared to wait on a table, but trust me.... the wait will be worth it! We will head north tomorrow, back to the DFW metroplex, with a carful of Texas goodies to bring back to Denmark.... but the best part is that we still have 2 1/2 more days of Texas adventures ahead of us! Loved the photo of the deer that you posted on FB. Maybe you could teach the Danes about BBQ and have a successful import business. Grit and Texas BBQ - it doesn't get any better. Six years ago I was living in Michigan and we were a group who went on a road trip to Austin for spring break. 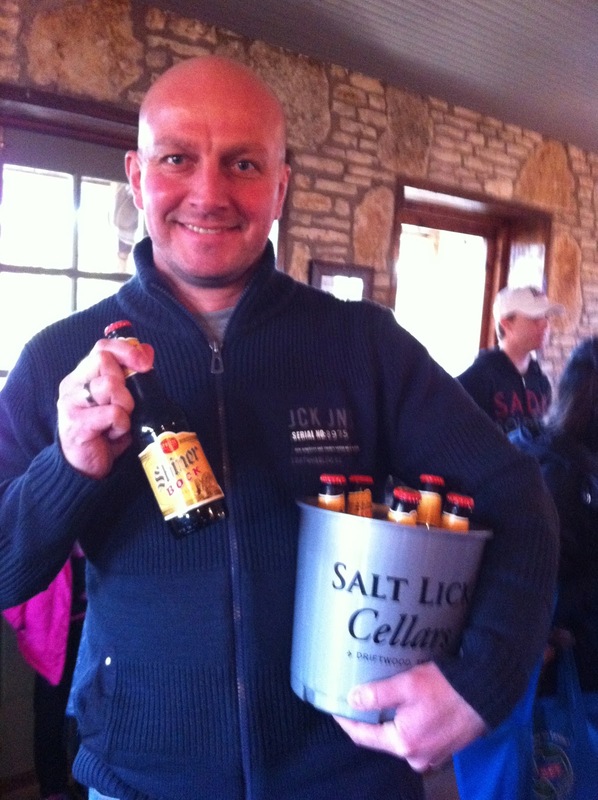 We went to Salt Lick as well and had the best BBQ (and gravy) I've had. Not sure how I stumbled upon your blog but have been following it for a while. I too am from the Great State of Texas and am now living in Denmark. 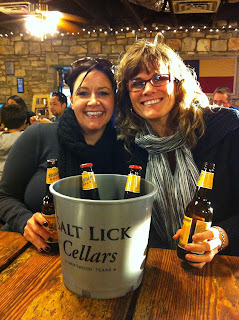 I LOVED this post for the pictures with the back drop of the Hill Country and The Salt Lick. I've been in DK for 10 years and LOVE it and my Great Dane, but sure do get homesick at times. Thanks for the peek. This restaurant was just featured on Top Chef! They were all freaking out about how good it was, and their challenge was to cook authentic Texas bbq there for over 300 people. 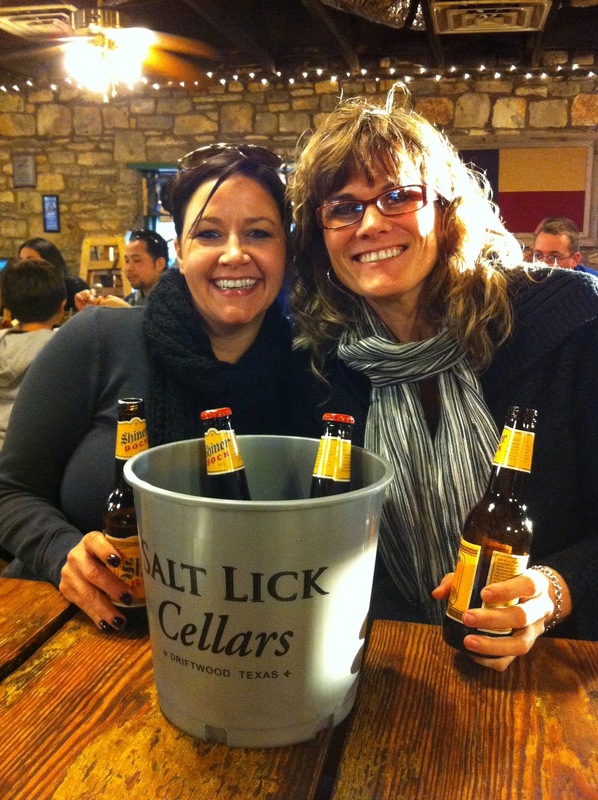 Looks like you two aren't the only ones who enjoy the Salt Lick!